Simon L. Pendleton et al. Wind-blown snow does not lie flat. It forms dunes, ripples, and anvil-shaped sastrugi. These features ornament much of the snow on Earth and change the snow's effects on polar climates, but they have rarely been studied. 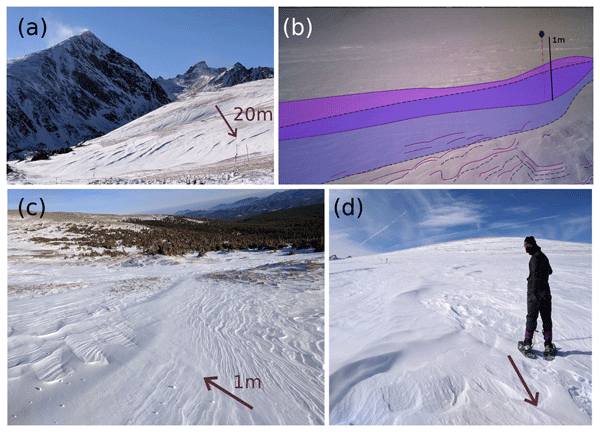 We spent three winters watching snow move through the Colorado Front Range and present our findings here, including the first time-lapse videos of snow dune and sastrugi growth. Here we assessed how natural climate variations and different definitions impact the diagnosed and projected Arctic sea ice melt season length using model simulations. Irrespective of the definition or natural variability, the sea ice melt season is projected to lengthen, potentially by as much as 4–5 months by 2100 under the business as usual scenario. We also find that different definitions have a bigger impact on melt onset, while natural variations have a bigger impact on freeze onset. This paper is the documentation of the implementation of neodymium (Nd) isotopes in the ocean model of CESM. Our model can simulate both Nd concentration and Nd isotope ratio in good agreement with observations. Our Nd-enabled ocean model makes it possible for direct model-data comparison in paleoceanographic studies, which can help to resolve some uncertainties and controversies in our understanding of past ocean evolution. Therefore, our model provides a useful tool for paleoclimate studies. The large-scale evolution of sea ice is both an indicator and a driver of climate changes. Hence, a realistic simulation of sea ice is key for a realistic simulation of the climate system of our planet. 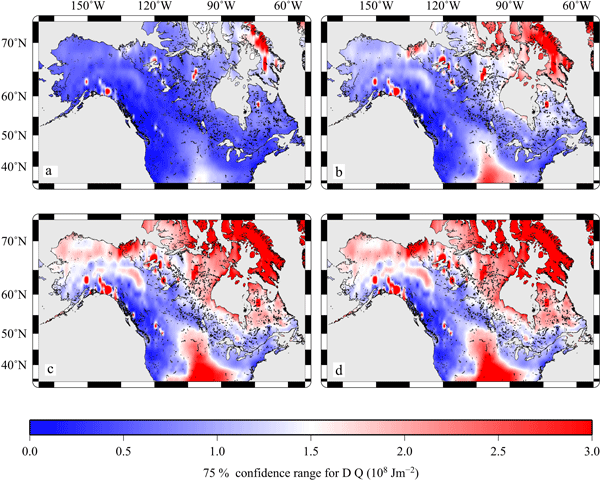 To assess and to improve the realism of sea-ice simulations, we present here a new protocol for climate-model output that allows for an in-depth analysis of the simulated evolution of sea ice. Mountains erode and shed rocks down slope. When these rocks (debris) fall on glacier ice they can suppress ice melt. By protecting glaciers from melt, debris can make glaciers extend to lower elevations. Using mathematical models of glaciers and debris deposition, we find that debris can more than double the length of glaciers. The amount of debris deposited on the glacier, which scales with mountain height and steepness, is the most important control on debris-covered glacier length and volume. Carbon isotopes have been added to the ocean model of the Community Earth System Model version 1 (CESM1). This paper describes the details of how the abiotic 14C tracer and the biotic 13C and 14C tracers were added to the existing ocean model of the CESM. In addition, it shows the first results of the new model features compared to observational data for the 1990s. 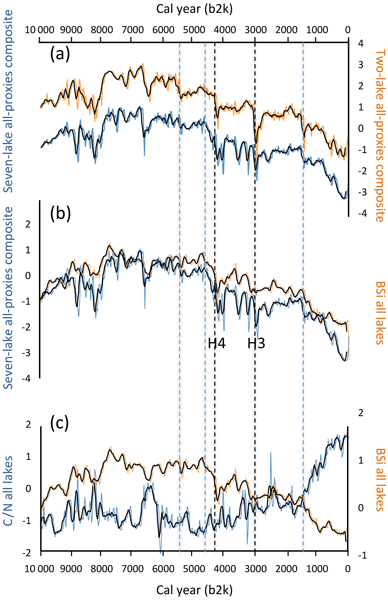 Åkesson, H., Nisancioglu, K. H., Giesen, R. H., and Morlighem, M.: Simulating the evolution of Hardangerjøkulen ice cap in southern Norway since the mid-Holocene and its sensitivity to climate change, The Cryosphere, 11, 281–302, https://doi.org/10.5194/tc-11-281-2017, 2017. Alley, R. B.: GISP2 ice core temperature and accumulation data, IGBP PAGES/World Data Cent. Paleoclimatology Data Contrib. Ser. 13, NOAA/NGDC Paleoclimatology Program, Boulder CO, USA, 2004. Anderson, R. K., Miller, G. H., Briner, J. P., Lifton, N. A., and DeVogel, S. B.: A millennial perspective on Arctic warming from 14C in quartz and plants emerging from beneath ice caps, Geophys. Res. Lett., 35, L01502, https://doi.org/10.1029/2007GL032057, 2008. Anklin, M., Bales, R. C., Mosley-Thompson, E., and Steffen, K.: Annual accumulation at two sites in northwest Greenland during recent centuries, J. Geophys. Res.-Atmos., 103, 28775–28783, https://doi.org/10.1029/98JD02718, 1998. 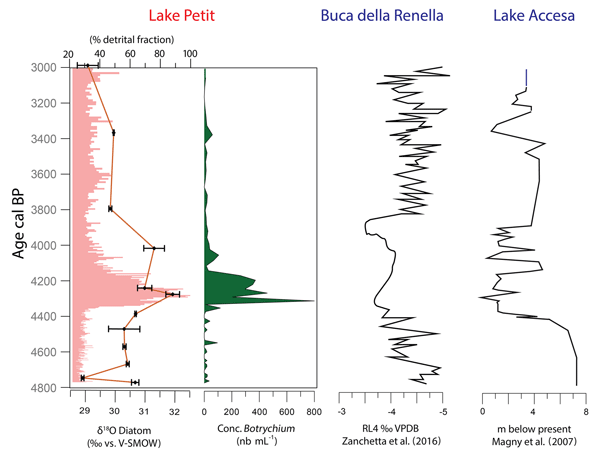 Balascio, N. L., D'Andrea, W. J., and Bradley, R. S.: Glacier response to North Atlantic climate variability during the Holocene, Clim. Past, 11, 1587–1598, https://doi.org/10.5194/cp-11-1587-2015, 2015. 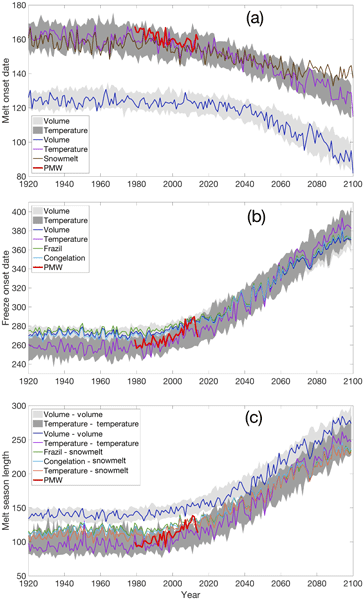 Bekryaev, R. V., Polyakov, I. V., and Alexeev, V. A.: Role of polar amplification in long-term surface air temperature variations and modern arctic warming, J. Climate, 23, 3888–3906, https://doi.org/10.1175/2010JCLI3297.1, 2010. Benn, D. I. and Evans, D. J. A.: Glaciers & Glaciation, Hodder Education, UK, 2010. Blatter, H., Greve, R., and Abe-Ouchi, A.: Present State and Prospects of Ice Sheet and Glacier Modelling, Surv. Geophys., 32, 555–583, https://doi.org/10.1007/s10712-011-9128-0, 2011. Braithwaite, R. J.: On glacier energy balance, ablation, and air temperature, J. Glaciol., 27, 381–391, 1981. Braithwaite, R. J. and Olesen, O. B.: Calculation of Glacier Ablation from Air Temperature, West Greenland BT – Glacier Fluctuations and Climatic Change: Proceedings of the Symposium on Glacier Fluctuations and Climatic Change, held in Amsterdam, 1–5 June 1987, edited by: Oerlemans, J., Springer Netherlands, Dordrecht, 219–233, 1989. Briner, J. P., Stewart, H. A. M., Young, N. E., Philipps, W., and Losee, S.: Using proglacial-threshold lakes to constrain fluctuations of the Jakobshavn Isbræ ice margin, western Greenland, during the Holocene, Quaternary Sci. Rev., 29, 3861–3874, https://doi.org/10.1016/j.quascirev.2010.09.005, 2010. Bronk-Ramsey, C.: Bayesian Analysis of Radiocarbon Dates, Radiocarbon, 51, 337–360, https://doi.org/10.1017/S0033822200033865, 2009. Crump, S. E., Anderson, L. S., Miller, G. H., and Anderson, R. S.: Interpreting exposure ages from ice-cored moraines: a Neoglacial case study on Baffin Island, Arctic Canada, J. Quaternary Sci., https://doi.org/10.1002/jqs.2979, in press, 2017. Cuffey, K. M. and Paterson, W. S. B.: The physics of glaciers, 4th Edn., Academic Press, Kidlington, UK, 2010. Davis, P. T.: Neoglacial moraines on Baffin Island, Quaternary Environ. East. Can. Arctic, Baffin Bay West, Greenland, Allen Unwin, Boston, 682–718, 1985. Digital Globe: Worldview 2 imagery, Broomfield, CO, 9 September 2011. Gardner, A. S., Sharp, M. J., Koerner, R. M., Labine, C., Boon, S., Marshall, S. J., Burgess, D. O., and Lewis, D.: Near-surface temperature lapse rates over arctic glaciers and their implications for temperature downscaling, J. Climate, 22, 4281–4298, https://doi.org/10.1175/2009JCLI2845.1, 2009. 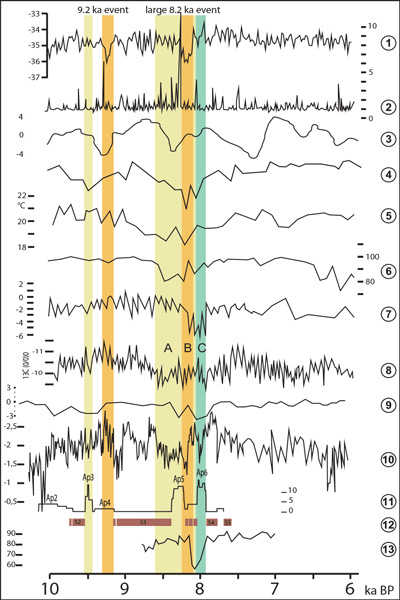 Gearheard, S., Pocernich, M., Stewart, R., Sanguya, J., and Huntington, H. P.: Linking Inuit knowledge and meteorological station observations to understand changing wind patterns at Clyde River, Nunavut, Climatic Change, 100, 267–294, https://doi.org/10.1007/s10584-009-9587-1, 2010. Haeberli, W.: Brief communication: On area- and slope-related thickness estimates and volume calculations for unmeasured glaciers, The Cryosphere Discuss., https://doi.org/10.5194/tc-2015-222, in review, 2016. Hock, R.: Glacier melt: a review of processes and their modelling, Prog. Phys. Geogr., 29, 362–391, https://doi.org/10.1191/0309133305pp453ra, 2005. Hooke, R. L.: Pleistocene ice at the base of the Barnes Ice Cap, Baffin Island, NWT, Canada, J. Glaciol., 17, 49–59, 1976. 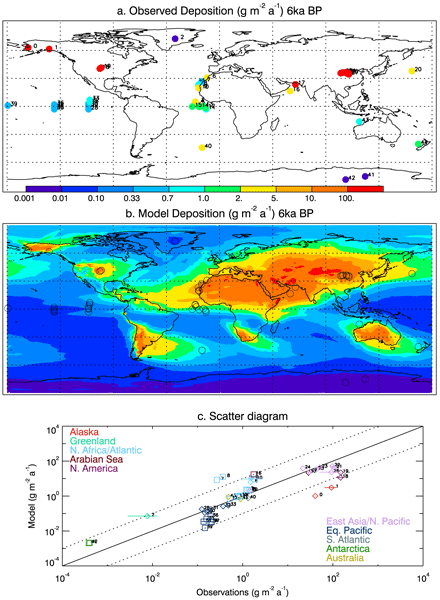 Hua, Q., Barbetti, M., and Rakowski, A.: Atmospheric Radiocarbon for the Period 1950–2010, Radiocarbon, 55, 2059–2072, https://doi.org/10.2458/azu_js_rc.v55i2.1617, 2013. Hurrell, J. W., Holland, M. M., Gent, P. R., Ghan, S., Kay, J. E., Kushner, P. J., Lamarque, J.-F., Large, W. G., Lawrence, D., and Lindsay, K.: The community earth system model: a framework for collaborative research, B. Am. Meteorol. Soc., 94, 1339–1360, 2013. Jonsell, U. Y., Navarro, F. J., Bañón, M., Lapazaran, J. J., and Otero, J.: Sensitivity of a distributed temperature-radiation index melt model based on AWS observations and surface energy balance fluxes, Hurd Peninsula glaciers, Livingston Island, Antarctica, The Cryosphere, 6, 539–552, https://doi.org/10.5194/tc-6-539-2012, 2012. Jungclaus, J. H., Bard, E., Baroni, M., Braconnot, P., Cao, J., Chini, L. P., Egorova, T., Evans, M., González-Rouco, J. F., Goosse, H., Hurtt, G. C., Joos, F., Kaplan, J. O., Khodri, M., Klein Goldewijk, K., Krivova, N., LeGrande, A. N., Lorenz, S. J., Luterbacher, J., Man, W., Meinshausen, M., Moberg, A., Nehrbass-Ahles, C., Otto-Bliesner, B. I., Phipps, S. J., Pongratz, J., Rozanov, E., Schmidt, G. A., Schmidt, H., Schmutz, W., Schurer, A., Shapiro, A. I., Sigl, M., Smerdon, J. E., Solanki, S. K., Timmreck, C., Toohey, M., Usoskin, I. G., Wagner, S., Wu, C.-Y., Yeo, K. L., Zanchettin, D., Zhang, Q., and Zorita, E.: The PMIP4 contribution to CMIP6 – Part 3: the Last Millennium, Scientific Objective and Experimental Design for the PMIP4 past1000 simulations, Geosci. Model Dev. Discuss., https://doi.org/10.5194/gmd-2016-278, in review, 2016. Kane, D. L., Gieck, R. E., and Hinzman, L. D.: Snowmelt modeling at small Alaskan Arctic watershed, J. Hydrol. Eng., 2, 204–210, 1997. Kaufman, D. S., Schneider, D. P., McKay, N. P., Ammann, C. M., Bradley, R. S., Briffa, K. R., Miller, G. H., Otto-Bliesner, B. L., Overpeck, J. T., and Vinther, B. M.: Recent warming reverses long-term arctic cooling, Science, 325, 1236–1239, https://doi.org/10.1126/science.1173983, 2009. Kessler, M. A., Anderson, R. S., and Stock, G. M.: Modeling topographic and climatic control of east-west asymmetry in Sierra Nevada glacier length during the Last Glacial Maximum, J. Geophys. Res.-Ea. Surf., 111, 1–15, https://doi.org/10.1029/2005JF000365, 2006. Koerner, R. M.: Mass balance of glaciers in the Queen Elizabeth Islands, Nunavut, Canada, Ann. Glaciol., 42, 417–423, 2005. Kustas, W. P., Rango, A., and Uijlenhoet, R.: A simple energy budget algorithm for the snowmelt runoff model, Water Resour. Res., 30, 1515–1527, https://doi.org/10.1029/94WR00152, 1994. La Farge, C., Williams, K. H., and England, J. H.: Regeneration of Little Ice Age bryophytes emerging from a polar glacier with implications of totipotency in extreme environments, P. Natl. Acad. Sci. USA, 110, 9839–9844, https://doi.org/10.1073/pnas.1304199110, 2013. Lang, H. and Braun, L.: On the information content of air temperature in the context of snow melt estimation, IAHS Publ., 190, 347–354, 1990. Lauriol, B., Carrier, Y., Beaudet, H., and Binda, G.: The residual snow cover in the Canadian Arctic in July: a means to evaluate the regional maximum snow depth in winter, Arctic, 39, 309–315, 1986. Mair, D., Burgess, D., and Sharp, M.: Thirty-seven year mass balance of Devon Ice Cap, Nunavut, Canada, determined by shallow ice coring and melt modeling, J. Geophys. Res.-Ea. Surf., 110, 1–13, https://doi.org/10.1029/2003JF000099, 2005. Margreth, A., Dyke, A. S., Gosse, J. C., and Telka, A. M.: Neoglacial ice expansion and late Holocene cold-based ice cap dynamics on Cumberland Peninsula, Baffin Island, Arctic Canada, Quaternary Sci. Rev., 91, 242–256, https://doi.org/10.1016/j.quascirev.2014.02.005, 2014. Marshall, S. J. and Sharp, M. J.: Temperature and melt modeling on the Prince of Wales Ice Field, Canadian high arctic, J. Climate, 22, 1454–1468, https://doi.org/10.1175/2008JCLI2560.1, 2009. Miller, G. H.: Late Quaternary glacial and climatic history of northern Cumberland Peninsula, Baffin Island, N.W.T., Canada, Quaternary Res., 3, 561–583, https://doi.org/10.1016/0033-5894(73)90031-8, 1973. Miller, G. H., Wolfe, A. P., Briner, J. P., Sauer, P. E., and Nesje, A.: Holocene glaciation and climate evolution of Baffin Island, Arctic Canada, Quaternary Sci. Rev., 24, 1703–1721, https://doi.org/10.1016/j.quascirev.2004.06.021, 2005. Miller, G. H., Geirsdóttir, Á., Zhong, Y., Larsen, D. J., Otto-Bliesner, B. L., Holland, M. M., Bailey, D. A., Refsnider, K. A., Lehman, S. J., and Southon, J. R.: Abrupt onset of the Little Ice Age triggered by volcanism and sustained by sea-ice/ocean feedbacks, Geophys. Res. Lett., 39, L02708, https://doi.org/10.1029/2011GL050168, 2012. Miller, G. H., Lehman, S. J., Refsnider, K. A., Southon, J. R., and Zhong, Y.: Unprecedented recent summer warmth in Arctic Canada, Geophys. Res. Lett., 40, 5745–5751, 2013. Miller, G. H., Landvik, J. Y., Lehman, S. J., and Southon, J. R.: Episodic Neoglacial snowline descent and glacier expansion on Svalbard reconstructed from the 14C ages of ice-entombed plants, Quaternary Sci. Rev., 155, 67–78, https://doi.org/10.1016/j.quascirev.2016.10.023, 2017. National Air Photo Library: A17014, Photos: 83–84,Department of Energy, Mines and Resources, Ottawa, 1960. Nawri, N. and Stewart, R. E.: Climatological features of orographic low-level jets over frobisher bay, Atmos.-Ocean, 44, 397–413, https://doi.org/10.3137/ao.440405, 2010. Osborn, G., McCarthy, D., LaBrie, A., and Burke, R.: Lichenometric dating: Science or pseudo-science?, Quaternary Res., 83, 1–12, 2015. Otto-Bliesner, B. L., Brady, E. C., Fasullo, J., Jahn, A., Landrum, L., Stevenson, S., Rosenbloom, N., Mai, A., and Strand, G.: Climate variability and change since 850 ce an ensemble approach with the community earth system model, B. Am. Meteorol. Soc., 97, 787–801, https://doi.org/10.1175/BAMS-D-14-00233.1, 2016. Pedersen, V. K. and Egholm, D. L.: Glaciations in response to climate variations preconditioned by evolving topography, Nature, 493, 206–210, https://doi.org/10.1038/nature11786, 2013. Pendleton, S. L., Briner, J. P., Kaufman, D. S., and Zimmerman, S. R.: Using cosmogenic 10Be exposure dating and lichenometry to constrain Holocene glaciation in the central Brooks Range, Alaska, Arctic, Antarct. Alp. Res., 49, 115–132, 2017. Ramsey, C. B.: Bayesian analysis of radiocarbon dates, Radiocarbon, 51, 337–360, 2009. Reimer, P. J., Bard, E., Bayliss, A., Beck, J. W., Blackwell, P. G., Bronk Ramsey, C., Buck, C. E., Cheng, H., Edwards, R. L., Friedrich, M., Grootes, P. M., Guilderson, T. P., Haflidason, H., Hajdas, I., Hatté, C., Heaton, T. J., Hoffmann, D. L., Hogg, A. G., Hughen, K. A., Kaiser, K. F., Kromer, B., Manning, S. W., Niu, M., Reimer, R. W., Richards, D. A., Scott, E. M., Southon, J. R., Staff, R. A., Turney, C. S. M., and van der Plicht, J.: IntCal13 and Marine13 Radiocarbon Age Calibration Curves 0–50,000 Years cal BP, Radiocarbon, 55, 1869–1887, https://doi.org/10.2458/azu_js_rc.55.16947, 2013. Rosenwinkel, S., Korup, O., Landgraf, A., and Dzhumabaeva, A.: Limits to lichenometry, Quaternary Sci. Rev., 129, 229–238, https://doi.org/10.1016/j.quascirev.2015.10.031, 2015. Serreze, M. C. and Barry, R. G.: Processes and impacts of Arctic amplification: A research synthesis, Global Planet. Change, 77, 85–96, https://doi.org/10.1016/j.gloplacha.2011.03.004, 2011. Serreze, M. C., Rehder, M. C., Barry, R. G., Walsh, J. E., and Robinson, D. A.: Variations in aerologically derived Arctic precipitation and snowfall, Ann. Glaciol., 21, 77–82, 1995. Stocker, T. F., Qin, D., Plattner, G.-K., Tignor, M., Allen, S. K., Boschung, J., Nauels, A., Xia, Y., Bex, V., and Midgley, P. M.: Climate change 2013: The physical science basis, Intergov. Panel Clim. Chang. Work. Gr. I, Contrib. to IPCC Fifth Assess. Rep. (AR5), Cambridge Univ Press, New York, 2013. Williams, L. D.: The variation of corrie elevation and equilibrium line altitude with aspect in eastern Baffin Island, NWT, Canada, Arct. Alp. Res., 7, 169–181, 1975. Young, N. E., Schweinsberg, A. D., Briner, J. P., and Schaefer, J. M.: Glacier maxima in Baffin Bay during the Medieval Warm Period coeval with Norse settlement, Sci. Adv., 11, e1500806, https://doi.org/10.1126/sciadv.1500806, 2015.